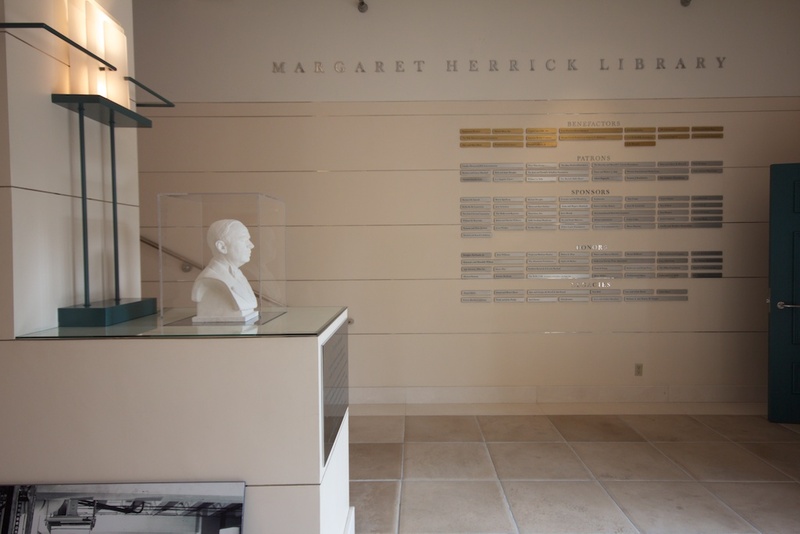 Before I get started on the jaw-dropping collection at the Margaret Herrick Library, a word on the history of its home. This is the Fairbanks Center for Motion Picture Study, the handsome former water plant that now houses the Oscars library. It is a significant structure, and owes it's existence in some part to the film industry whose history it now accommodates. Built in 1927, it was the first public building in Beverley Hills, and it's original function ensured the independence of this famous burgh. Without an independent water source, the fledgling city City of Beverly Hills was offered water from the city of Los Angeles, but the price was steep and included incorporation into greater Los Angeles. Film industry icons, Beverley Hills locals and Academy founders such as Douglas Fairbanks and Mary Pickford sought to protect the independence of the area and rallied support for the construction of a water plant to service the suburb and save the day. It was built before the Beverly Hills City Hall, the Fire Department, or the Police Station. It served it's intended purpose until it was damaged by the earthquake of '71. Abandoned for alternate water sources, the building was utilised by vagrants and vandals until it was voted demolished in the 80's. Meanwhile, the Academy Library was in desperate need of space, with lots of material being stored in auxiliary sites around L.A. They had been receiving many important donations- the papers of Alfred Hitchcock, the papers of John Huston, and the Hays/Breen Censorship Code files. The library found themselves shuttling back and forth across bustling Wiltshire Boulevard with trolleys full of these significant materials. A new site was actively sought to protect and make accessible these great collections. 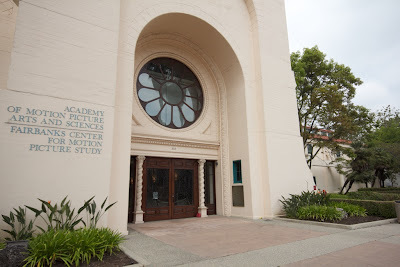 The Academy was able to make an offer the City of Beverly Hills couldn't refuse- they offered to pay for all restorations, and work began in earnest (with architect Fran Offenhauser) to mould the old water plant into the shiny, pretty space it is now. 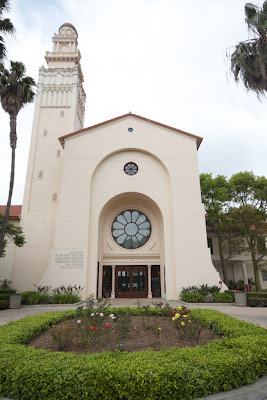 With an added wing in the same Spanish Romanesque Revival stylings the library boasts 40 000 square feet of space for their works and their workers. 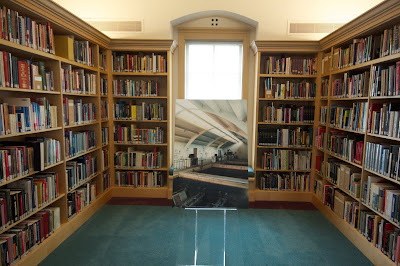 Displayed through the building in both public space and in the back rooms are large mounted photographs depicting the corresponding spaces before restoration work began (see above) - cleverly highlighting their original industrial purpose (and the tumbledown squalor into which they had fallen).